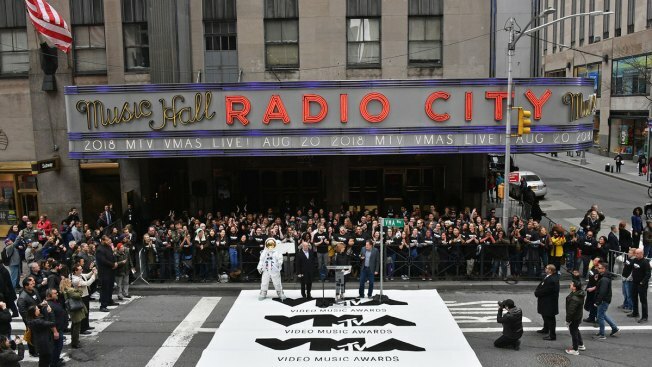 The 2018 "MTV VMAs" will air live on Monday, August 20 from Radio City Music Hall. After spending a year in California, the MTV Video Music Awards are coming back to the East Coast. The network announced Tuesday that the 2018 VMAs will be held Aug. 20 at Radio City Music Hall in New York City. Last year's ceremony was held in Inglewood, California, and the year before it was at New York's Madison Square Garden. Radio City Music Hall was the home of the inaugural VMAs in 1984.